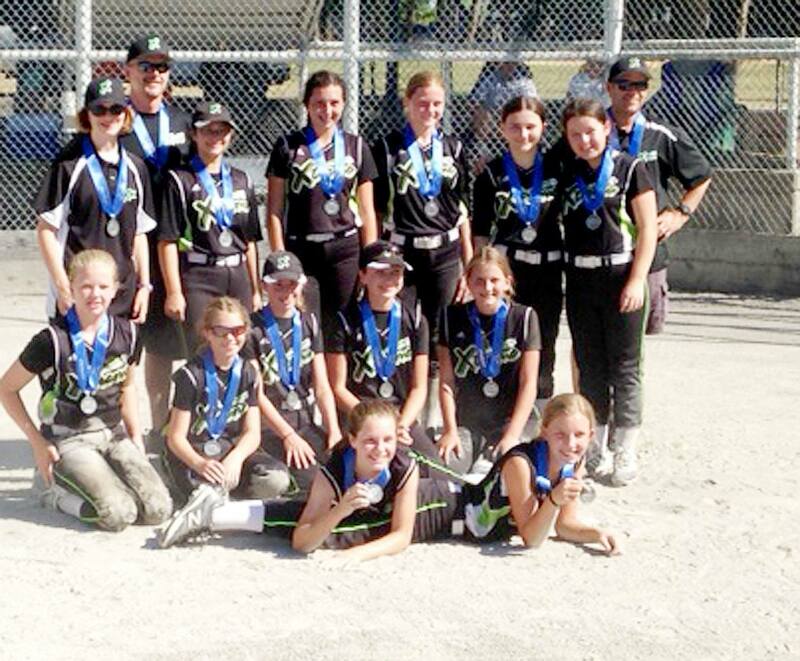 The Langley Xtreme 2001 U14B girls softball team battled the elements and the opposition on their way to a silver medal at the provincial championships last weekend. The weekend didnâ€™t start out too hot for a team that ultimately came away with a silver medal in the Silver Division. Langley played the top three 2000-year teams in the round robin in its first four games. The team lost all four games and was relegated to the Silver division as the last No. 17 seed. But that didnâ€™t stop the Xtreme. In their first playoff game the Extreme mercied the Invaders 01 team 9-2, followed by an extra innings, 8-5 win over the ninth-seeded (and top seed in the Silver Division) Kelowna Heat on a steamy night in Delta. This set up a semifinal game versus Victoria in which the Xtreme came away with an 8-3 win. The win vaulted the Xtreme into the final against their D-8 rivals, the Abby Outlaws 2000. Down 7-3 in the fifth inning, the Xtreme came to life with a 10-run fifth inning to take a 13-7 lead. With their fourth game in less than 24 hours in the intense heat, the Xtreme came up just short, losing 14-13 in a game that took seven innings to complete. The Xtreme were the only 2001 team to medal at the Provincial tournament. The Langley girls medaled in five of six tournaments they were involved in, including four second-place results.